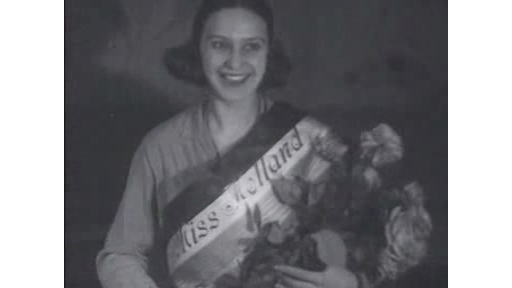 Jo Koopman is chosen as Miss Holland 1929 in Zaandam. SHOTS: - Miss Holland 1929 receives flowers and shakes hands; - walking through Zaandam, a.o. waving at turning mill. Note: SOURCE: Central Archive Alkmaar, mr. Chr. Helder.